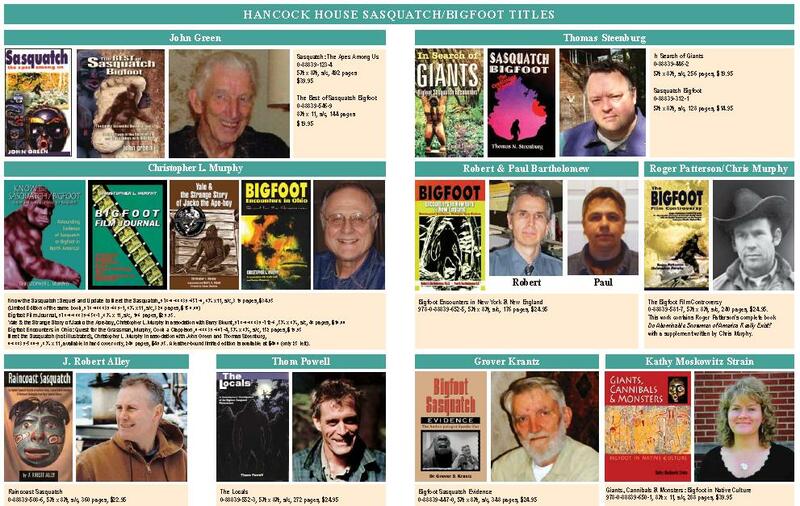 Hancock House Publishers - Sasquatch Canada contains current and authoritative information on sasquatch and other homins. 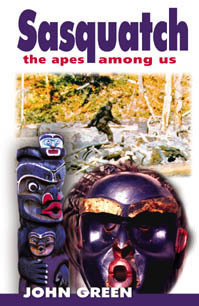 The stories from North America's aboriginal people, and those of Russia and other countries are compared and contrasted to what is now known as probable living relict hominoids. We are taken into the not-too-distant past when both men of science and the church believed in the existence of beings, not quite human. 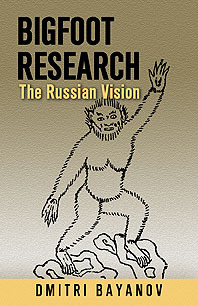 The information begs the question, "What came first - the actual beings or the folklore which documents their existence?" 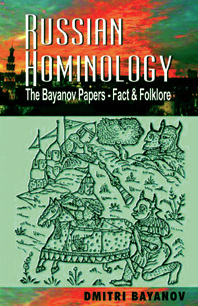 This book, Russian Hominology, shares Bayanov's findings. 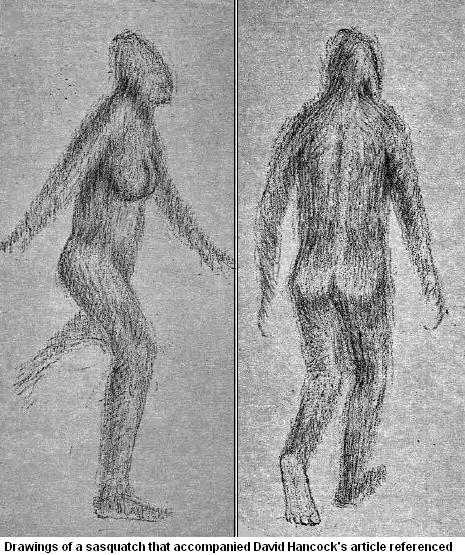 The possible existence of large, humanlike/apelike creature , a "Wild Man", in remote regions across the world continues to fascinate scientists, artists, explorers, & the general public. This wild man exists in myths, religious ritual and folkloric traditions in many diverse cultures, but is there any basis for believing he really does lurk in the mountains throughout Asia? 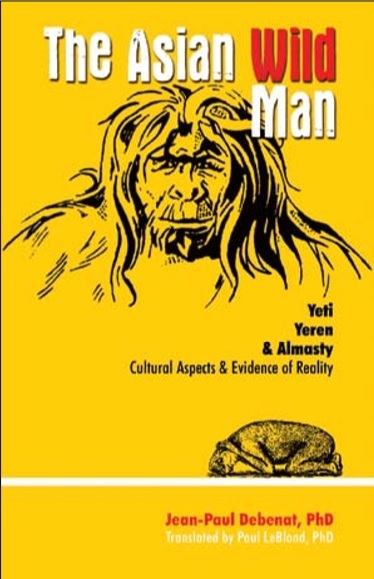 Following in the footsteps of many who have studied and searched for the yeti, almasty and yeren — such as Peter Byrne, Marie-Jeanne Koffmann, Vera Frossard, Rheinhold Messner, Dr. Grover Krantz and Prof. Zhou Guoxing — Dr. Debenat documents their experiences and their attempts to answer the question of whether these creatures really ever did exist and, if so, do they still haunt the vast reaches of the Asian wilds? 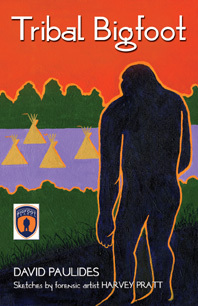 Dr. Debenat presents historical and modern findings, along with the mythology through which native cultures have explained their wild man experiences, and provides readers with a deeper understanding of this most fascinating anthropological mystery. 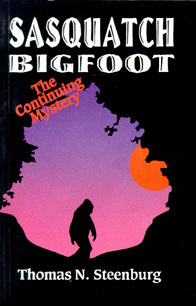 A remarkable & entertaining account of the bigfoot phenomenon. Ohio is among the top five states in reported bigfoot incidents because of the state's vast farmlands (easy food), extensive forest areas, and abundant water resources. 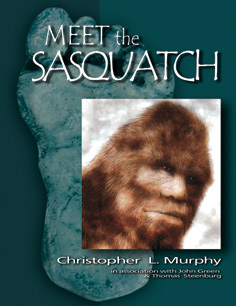 Learn about the sasquatch/bigfoot from various perspectives. The reader will gain from this work an appreciation of the creature far beyond that provided in most other published books on this subject. 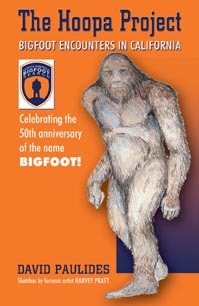 This special Yakima Bigfoot Round-up edition is signed by the author, and numbered 1 of 150, also comes with a signed print of the Chris Murphy sasquatch painting. 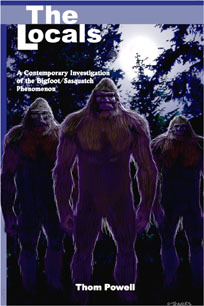 A complete reference on sasquatch in BC, from fossilized footprints and petroglyphs to modern-day sightings and current scientific research. 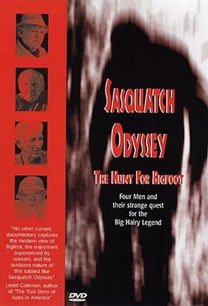 A highly illustrated presentation on the main findings related to sasquatch or bigfoot creatures. The work traces the possible existence of these creatures from early references found in First Nations art to present day sightings and encounters. THE ORIGINAL ROGER PATTERSON BOOK: DO ABOMINABLE SNOWMEN OF AMERICA REALLY EXIST? 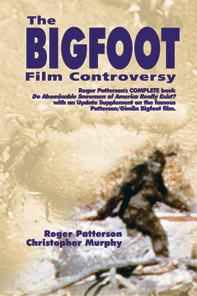 The essential story as we know it of Roger Patterson's Bigfoot research and the 1967 Bigfoot film at Bluff Creek California. 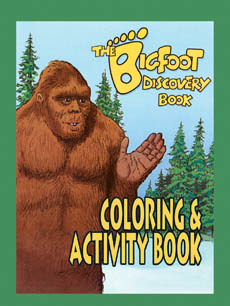 Educational material about the probability of bigfoot and the current best guesses as to its habits and its place in the natural world. 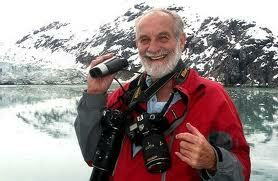 Michael Rugg has been studying unclassified bipedal primates for over 50 years. In his book, Dr. Krantz dissects the evidence out there, using 1965 as the starting point. Using science, his discussions center on footprints, sitings, fossil records, and of course the famous Patterson film. He looks at the difficulty in faking evidence, and explores the mythology of this creature. Patron's Edition. Over 600 photos & illustrations throughout. 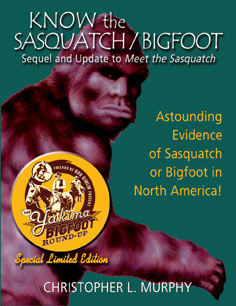 A highly illustrated presentation on the main findings related to sasquatch or bigfoot creatures. The work traces the possible existence of these creatures from early references found in First Nations art to present day sightings and encounters. Many stories involved fearsome creatures with supernatural powers. One of these creatures, now known as Bigfoot, passed beyond the realm of native lore and has become firmly entrenched in modern culture - for we too have seen this mysterious being. 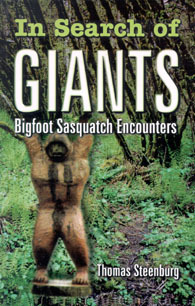 In Search of Giants, gives accounts of sightings that have occurred over the past twenty years throughout western Canada. Many of these encounters have never been written about before and all offer insight into this lasting mystery. 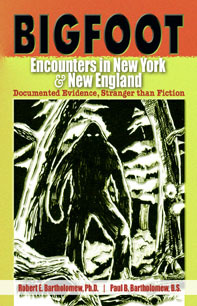 For over thirty years, two New York State brothers, Robert and Paul Bartholomew, have methodically researched, documented, and studied the Bigfoot question in both New York and the New England states. Bigfoots ARE The Locals. They live here. They were here before we humans showed up on the continent and they will likely outlast us. 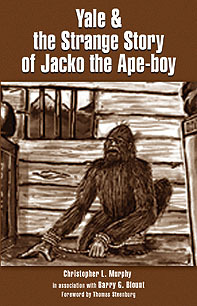 In July 1884 a major newspaper in British Columbia, Canada featured a detailed article about the capture of a creature resembling both an ape and a young human boy along the railway line between the towns of Boston Bar and Yale, BC. 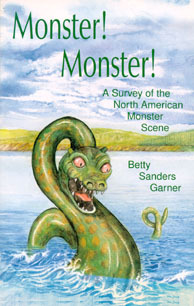 Gives the complete story of creatures alleged to exist in North America. 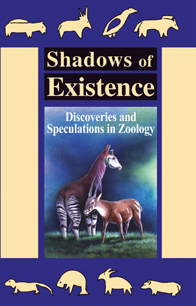 From pre-historic time to the present, from sea serpents to Sasquatch, the author takes readers on a journey examining the arguments for and against the existence of a whole spectrum of beasts. 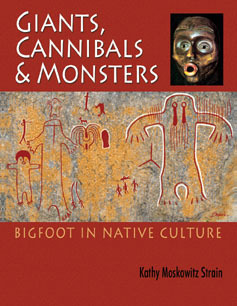 A must read for those who want to know more about monsters--real, half-real or imagined. 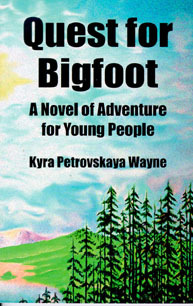 Fictional juvenile story about Sasquatch. 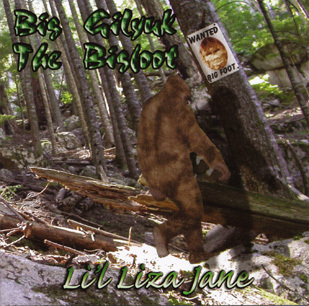 A song, written and sung by Li'l Liza Jane, about Bigfoot as gathered from Meet the Sasquatch by Christopher L Murphy and The Locals by Thom Powell. 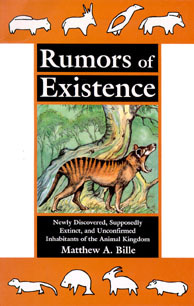 Author Matthew Bille seeks to introduce readers to discoveries, rediscoveries, and sightings of unclassified creatures made since the 1960's. 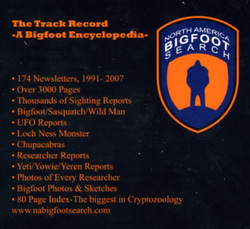 Northern America Bigfoot Search has produced the most comprehensive map ever made of Bigfoot sightings. This is probably the only Bigfoot sightings map in the world produced in the last 20 years. The NABS has spent hundreds of hours accumulating over 350 sighting/encounters in Humboldt, Trinity, Siskiyou and Del Norte Counties. Also includes a sprinkling of sightings in Shasta, Mendocino and Tehama Counties in California. Pre-eminent classic & indispensible work. B/w photos & line drawings throughout. 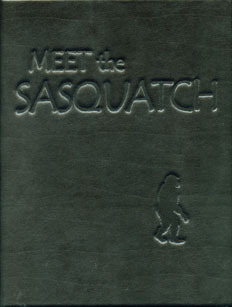 The bible of Sasquatch/Bigfoot, reprinted in it's original form. This book is highly recommended for crypto-beginners and veteran aficionados alike for its comprehensive coverage and accessible style. This is a CD containing over 3000 document pages that include photos, maps, research papers and much more. It also includes an 80 page word document that is a master index for the 16 years The Track Record was produced. 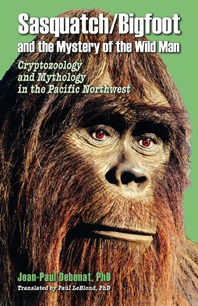 This is the single greatest index in any cryptozoology book, CD, DVD, anything! You can spend weeks browsing the CD that we have produced. This book is a legend in itself. 1000s of people came forward with their input. 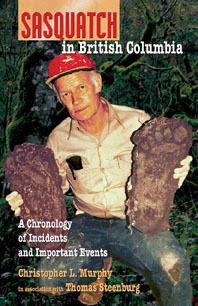 Over 70 detailed & credible (never before told) eyewitness reports. 14 exclusive interviews by the top researchers & scientists, answering your most requested questions. 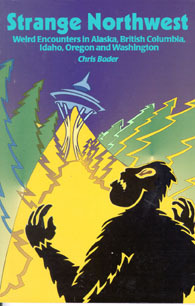 Bigfoot, Sasquatch evidence & sightings from Indian lore. 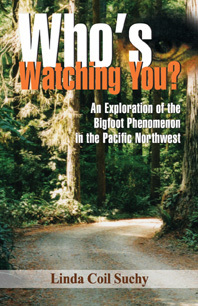 This book concentrates on twenty-three sightings in Alberta and British Columbia. 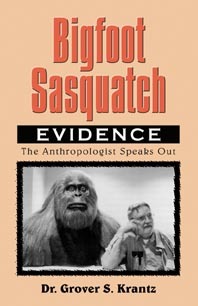 In this remarkable volume, Dr. Jean-Paul Debenat, a professor of comparative literature (University of Nantes, France) with a flair for anthropology, takes us far beyond the realm of documented research on the Sasquatch/Bigfoot phenomenon. 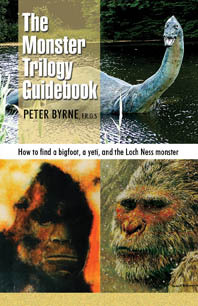 His extensive travels in North America, skillful investigations, and years of research on the 'wild man' throughout world history have resulted in this highly authoritative work. 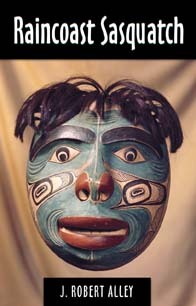 This is a primer on the Northwest's weird heritage. 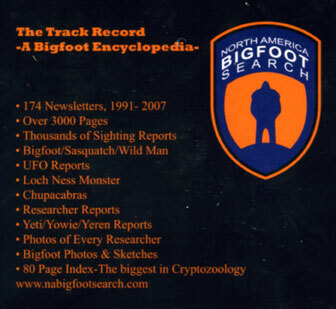 Gathered from newspaper accounts, participant observations and personal interviews - everything from Bigfoot sightings to UFO contact - from ghosts to sea serpents. 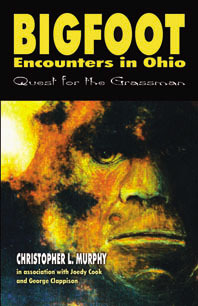 Further research into Middle America bigfoot sightings indicates a strong connection between bigfoot and Native Americans, and witness descriptions show a strong human likeness. 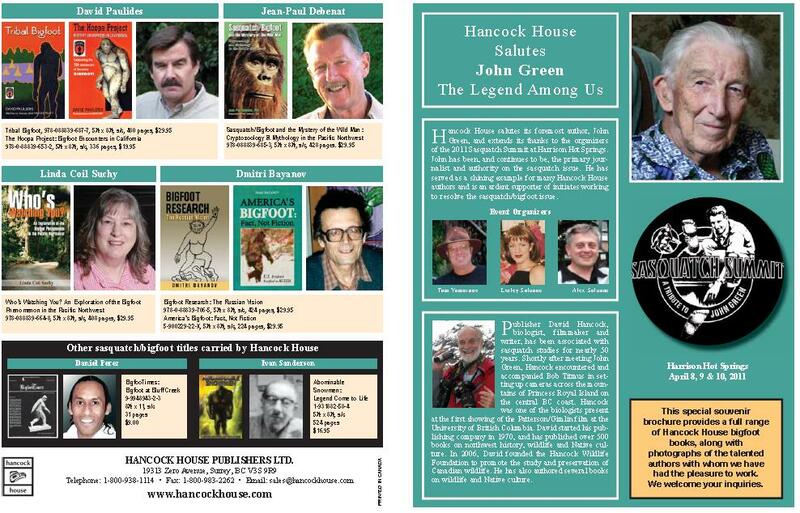 Hancock House began publishing under the name and imprint of the Hancock Wildlife Conservation Center in the late 1960s. 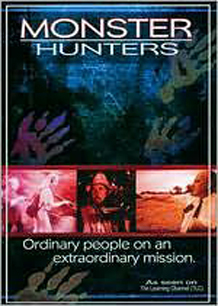 David Hancock started the publishing venture by building on the distribution system he first initiated to sell his own books that accompanied his documentary film production. Hancock House Publishers was formed in 1971 and was incorporated in 1975. During the early 1980s Hancock House operated a wholesale and remainder book division focusing on the sale of western titles, and also started three bookstores, all to further the sales of Hancock House published titles. After about five years of these related activities, the company focus shifted exclusively to publishing. Distribution operations were originally managed from warehouses in Alberta, Ontario, Connecticut and Seattle, as well as in the Victoria area. Later, with improved courier systems, distribution was consolidated to two locations: Surrey, BC for Canada, and Blaine, Washington for the US. By 1997 website development supported an international direct mail marketing for the Hancock House expansion into major natural history books. 1968/06/01 – Mission: No Plan for a Hunt: On June 1, 1968 a newspaper reported that a sasquatch was said to have been sighted near Mission. However, police in Matsqui and Mission said they had no plans to go on a hunt for the creature. Hancock then went on to draw a parallel with the yeti: Still, I can’t help thinking about the yeti or abominable snowman of the Himalayas. The story is similar but much longer standing. While no yeti specimen has positively been identified in a scientific institution, the repeated verification of actual sightings of the beast and/or its footprints are well established. So much so that on the basis of this circumstantial evidence, Dr. Bernard Heuvelmans has proposed a scientific name for the creature: Dinanthropoides nivalis or “terrible anthropoid of the snows.” As to the general scientific community’s “blind eye” with regard to the sasquatch, Hancock said:It’s not fair to shrug off the old sasquatch. Its much better to look for scientific possibilities of his existence. After all, it’s only since the turn of the century we have discovered such species as the Mountain Gorilla of Africa. Known for centuries through legend, it was not established as a real creature to science until 1901. The Congo Okapi, short-necked relative of the giraffe, was identified in 1900, the Pygmy Hippo in 1913. The world’s largest reptile, the Komodo Dragon, was not discovered until 1912. The loveable Giant Panda was unknown to science and the children of the world until 1936 when the first one was captured. And, in our own time in Canada, we have re-established the range of the Wood Buffalo and Wood Grizzly, when both animals were thought to be extinct. fauna unique to this region, and has for millennia nourished one of the largest populations of North American Natives and their rich culture. David Hancock is a publisher (Hancock House Publishers, Surrey, BC, Canada). 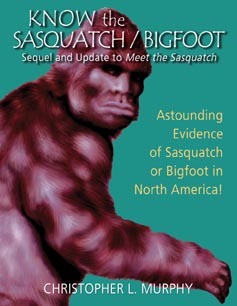 He has published hundred of books on wildlife, and general subjects, including 23 books on the sasquatch/bigfoot question. Titles by John Green, Thomas Steenburg, Dmitri Bayanov and Chris Murphy are among such works.